"Silicon Valley's latest trend for creating new ventures is based on trial and error: test market needs with new product concepts and a minimum amount of capital, expect that the product may not meet the market need, so fail fast and try another product with the hope that a product-market fit will eventually emerge. But this fail fast, step-and-pivot philosophy is like taking a random walk in the forest without a compass. 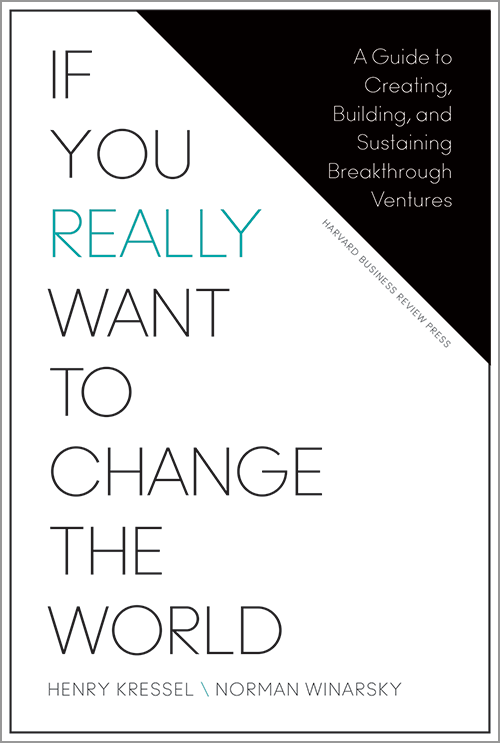 "If You Really Want to Change the World" is about helping entrepreneurs find true north."